Post Pals the charity where donations are spent of those it helps! There has been a lot of talk in the media recently about how charities use funding, so we thought we would share exactly how donations to Post Pals are spent. Post Pals is run only by volunteers in their own homes; no paid staff, no office, and no CEO receiving a big pay cheque. Our only funding is from people who kindly donate to Post Pals or hold fundraisers for us. We have in the past had 2 grants but these ran out and we now run solely on donations. When people donate we spend the money on the children we help. We are grateful for every donation and do not ask for more, we don’t ask you to sign up for a monthly donation or give bank account details and nor do we send you gifts in the hope of receiving a donation in return. In the past year Post Pals only outgoings ,that weren’t directly for the children, were for our PO Box address, our storage unit (so we can buy items in bulk to save money and also store things to reuse at our annual party) and maintaining/hosting our website. Sometimes Post Pals can even tell donors exactly what their money was spent on. 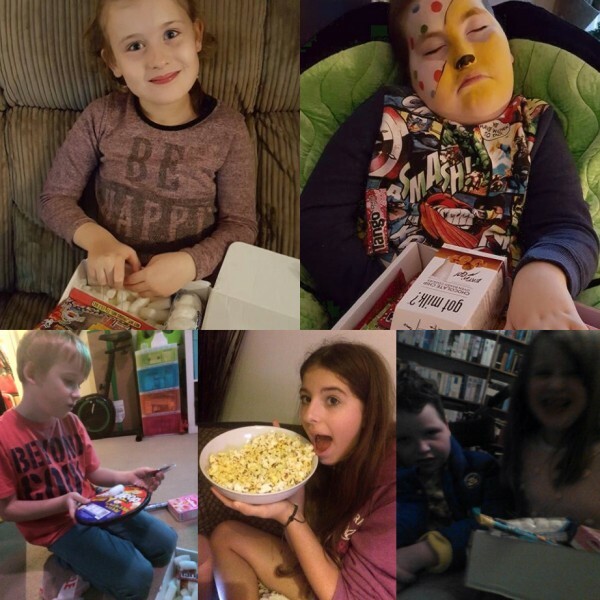 Recently we used donations from Elbi to send big boxes of popcorn and candy to 40 families, and we are looking to spend money raised by Charlie (brother of moved on Pal Chloe G) on a special project in January. If a company or individual would like to donate a larger amount then our Extra Smiles Team can work with them on sponsoring a project. Normally all donations go into the main fund which is used to send post. Sent boxes of candy to 40 families. Sent balloons to Pals in need of TLC. 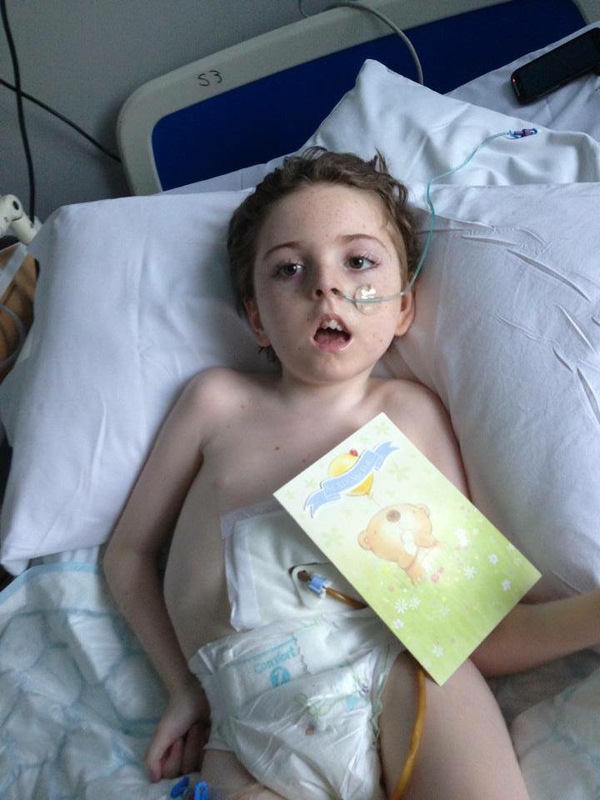 Aiden loved his superhero balloons so much he even took them to bed with him! Purchased 15 toy advent calendars for £3 each via a charity site (they sell for £33 on eBay) and 10 nail sets for £1 each (£10 on Amazon). 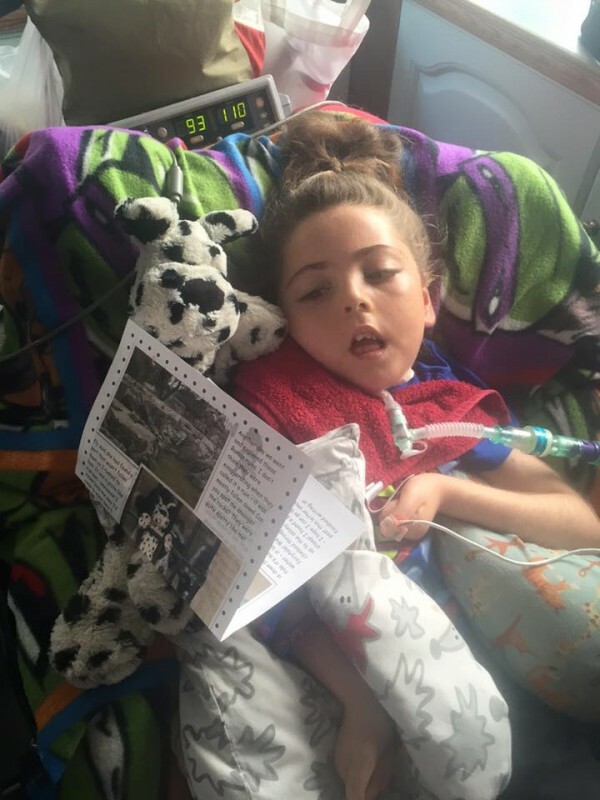 Sent 120 Dottie letters (90p each) and replaced a cuddly Dottie that got lost in hospital. 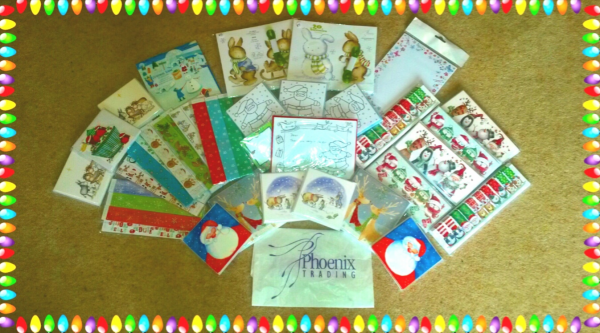 Funded the sending of 50 handmade dinosaur cards and 40 cards with little gifts in. 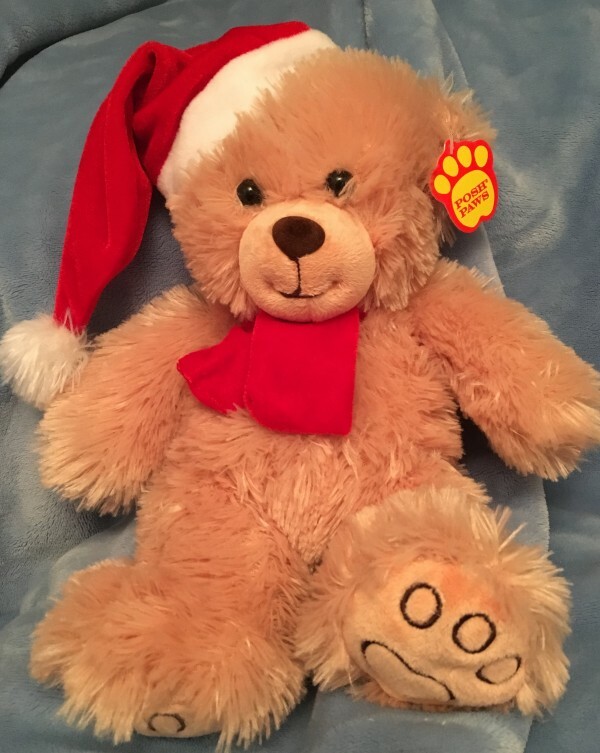 In the next week we will be sending out Christmas teddy bears with lovely cards we had donated to us. Thanks you to everyone who donates and supports Post Pals. If you would like to make a donation please see our page here. Earlier this year we teamed up with Elbi, an organisation that gives you a chance daily to help 3 organisations in just 3 minutes, all from your smartphone. Elbi regularly run campaigns for Pals and asks people to draw certain things, and share funny pictures or movie quotes. 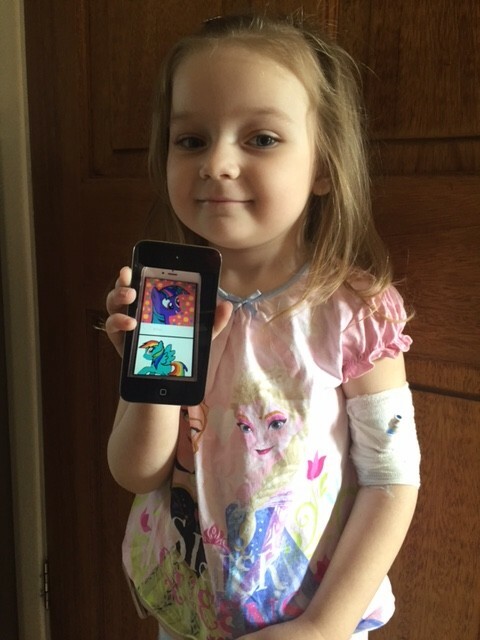 Recently people drew Simpsons characters for Faith and Mae, suggested songs for Eleanor to listen to, and drew My Little Ponies for Isla while she was in intensive care. 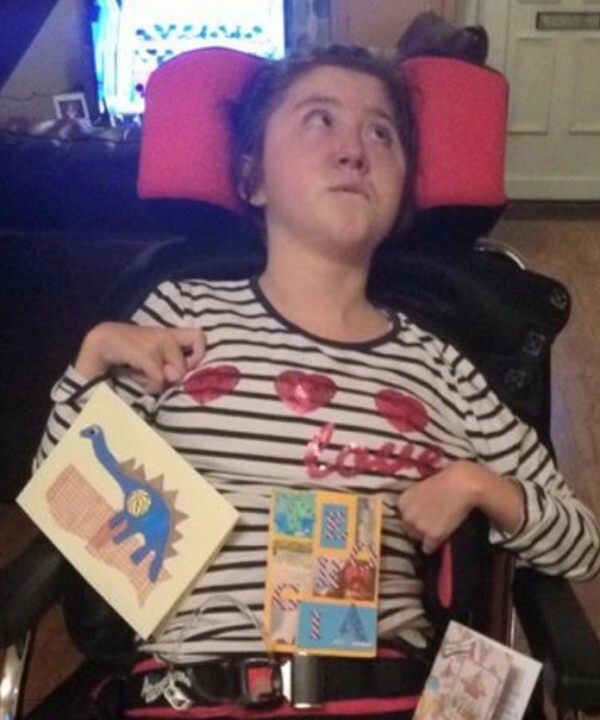 Isla’s mum took this picture of her with the pony drawings when she was back at home. 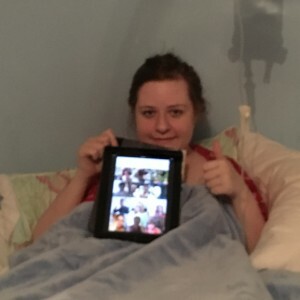 People even sent thumbs up selfies to the Post Pals team. Vikki gave all the kind volunteers a thumbs up in return. Elbi also give people the opportunity to donate £1, and it’s amazing how quickly £1 donations add up! Within 2 months Elbi users had donated £400 which we decided to use for a special project. 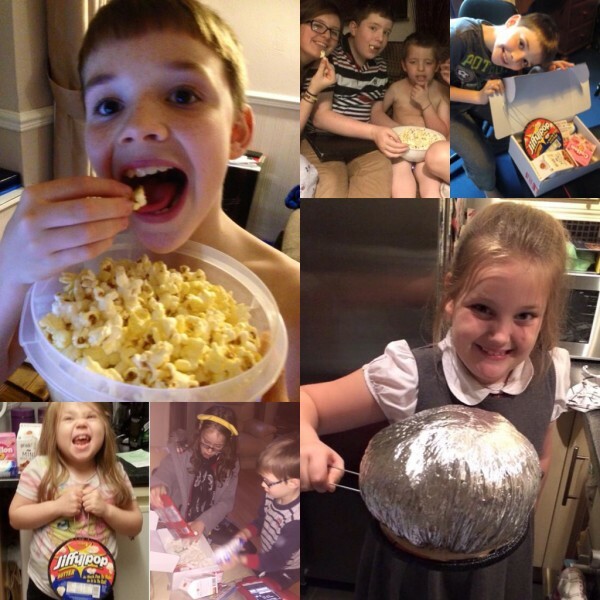 Post Pals had seen a video of Jiffy Popcorn and thought it looked great fun to make, and eat. We found the popcorn on Amazon but also spoke to Candy Chaos, who we often work with. Candy Chaos spent hours working with us to put together a box full of fun candy and all for an amazing price. 40 families were sent a box and it created lots of smiles! 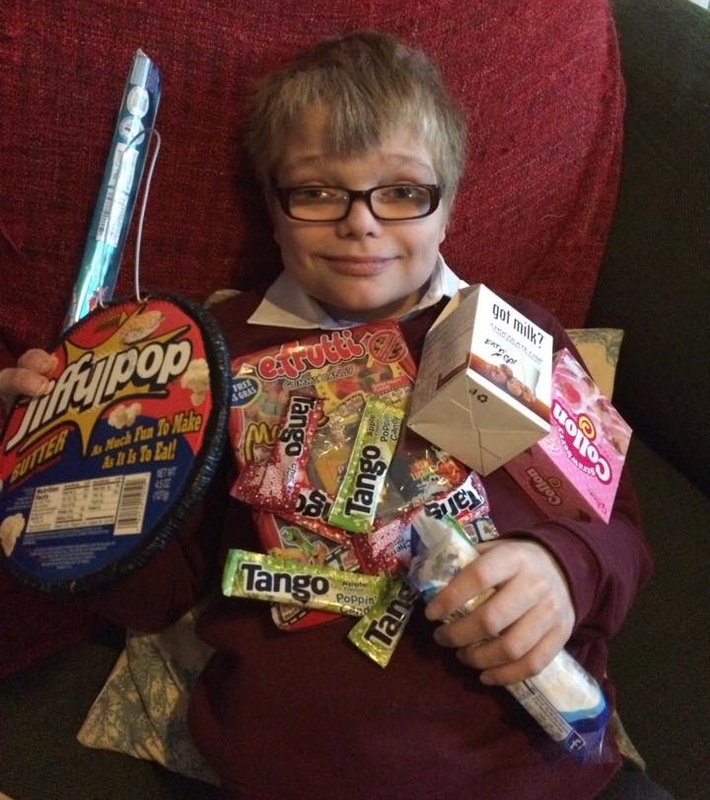 William came home to his box after a very traumatic hospital stay but you wouldn’t know it to see his smile! 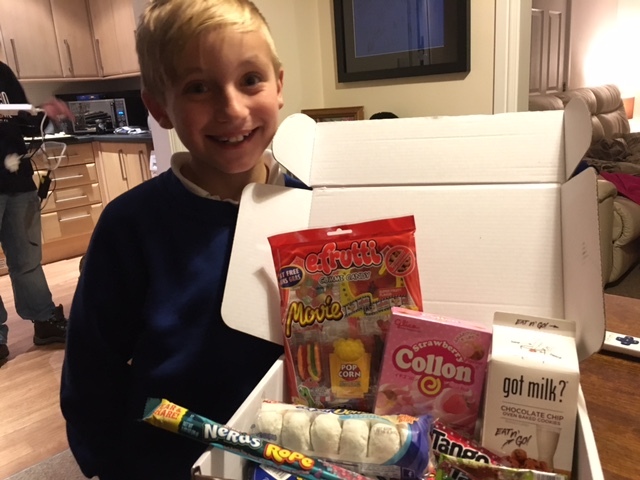 Jack has been having a very tough time too but was thrilled with his box. A big thank you to Elbi users and Candy Chaos for making all these smiles possible. Post Pals is on the search for offices, classes, clubs and groups to make seriously ill children smile this Christmas. We are searching for 130 people to be assigned a seriously ill child or their sibling and to get everyone who they work with/their class or group to write a Christmas card to the assigned child before sending them off together it in time to bring some Christmas joy.